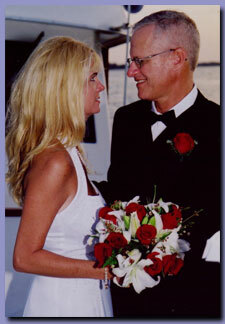 . . to the world of Romantic Florida Destination Weddings. Let your imagination run wild and fulfill your dreams and expectations for this most important day. A perfect beginning offers complete Florida weddings. We make sure your wedding in Florida goes as smoothly as possible. We offer many complete wedding packages to choose from. Let our professional staff reducing your stress and allow you to truly enjoy yourself. Our Florida weddings are available throughout the state with a wide range of locations including beautiful tropical beaches & waterways of Florida. Our personalized service with the attention to detail along with our event & wedding planning experience , assures you that this special day will be "A Perfect Beginning" to your new life together.